Yay! It’s a Lazy Sunday! I’m not sure which one of us decided, but at some point after waking, we threw any plans for an industrious morning out the window and decided to revel in a bit of sloth. By the way, sloth totally rocks. To maintain my investment in this delicious decision, I am totally phoning it in with a “picture” post today. Thank you for your support. Lazy Sundays do typically involve some work (well at least for David) making a delectable Breakfast Which Is Bad For Us. 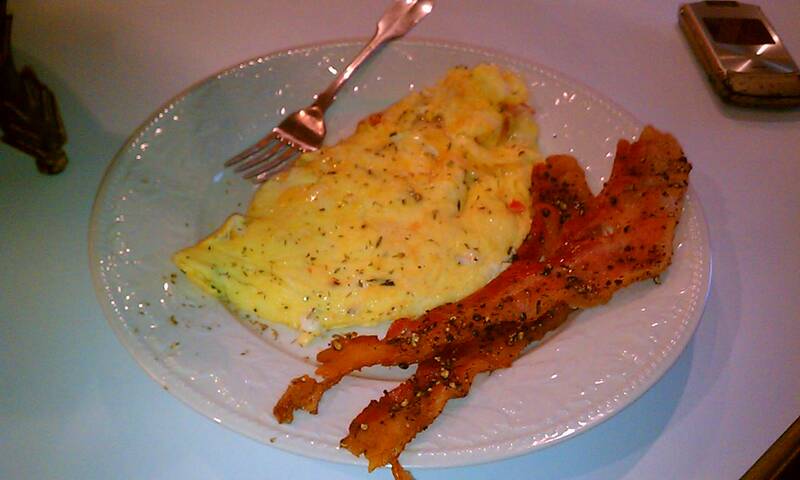 Asiago and Caramelized Onion (with the last garden tomato) Omelets with BACON!!!! Sloth + Bacon = Happiness. This entry was posted in City life, Don't think too hard, NaBloPoMo and tagged nablopomo. Bookmark the permalink. Yum! 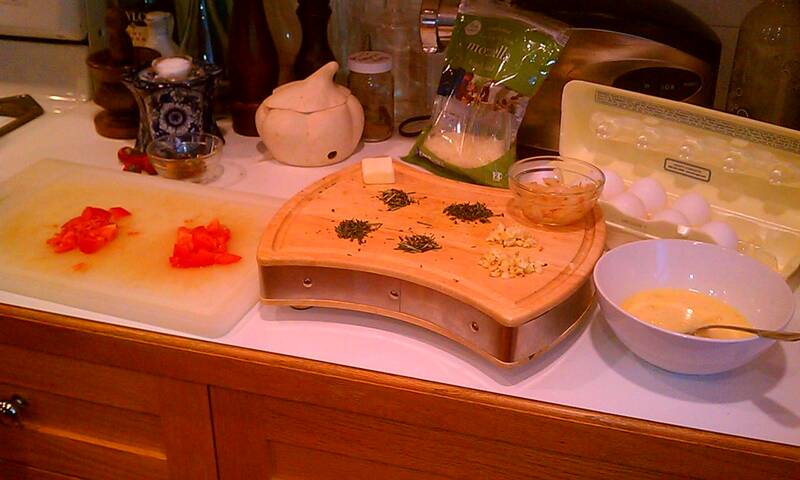 I had an omlete pic on my blog today too, we didn’t have carmelized onions though – sounds very good. Hope you enjoyed your lazy day. Best wishes for the NaBloPoMo challenge and with your blog. My hubbs is Omelet Master, so I kick back with a cup of coffee and let him take the stage. 🙂 I will definitely check out your blog! Thank you for stopping by. Looks yummy. And I dig the Sunday sloth 🙂 I have a phono photo post for Sunday too, though for different reason. Sloth is rare and amazing. Of course, we ended up doing some work but it was later in the day. I’m embracing the power of the photoblog…took tons of picutures yesterday. Look forward to seeing yours! Thank you. Sloth and bacon: these are two of my favorite things . . .